Cajunfest 2018 Raises More Than $18,000 for Boys & Girls Clubs of Maury County! 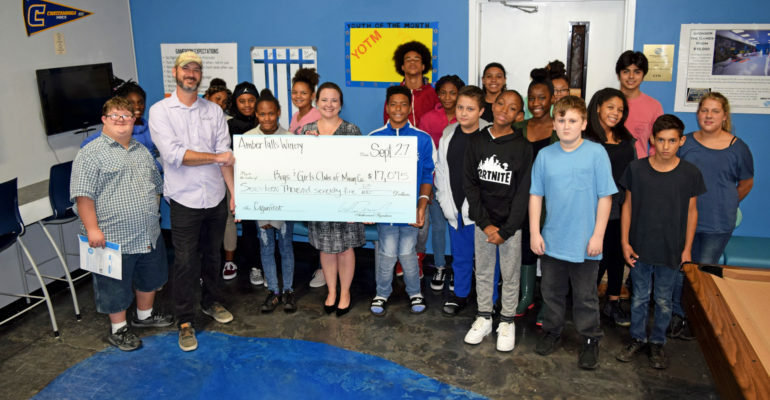 Amber Falls Winery (Hampshire, TN) donated the proceeds from this year’s Cajunfest event to Boys & Girls Clubs of Maury County. In total, this year’s event raised more than $18,000 for the Clubs, which currently serve more than 1,200 kids each year. 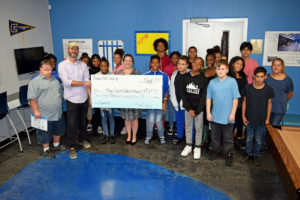 Pictured, Gabe Zaunbrecher from Amber Falls presents a check to BGC Maury CEO Robyn Peery and members of the Club’s downtown Columbia Teen Center. Click here to learn more about this annual event that generously benefits our Club kids.